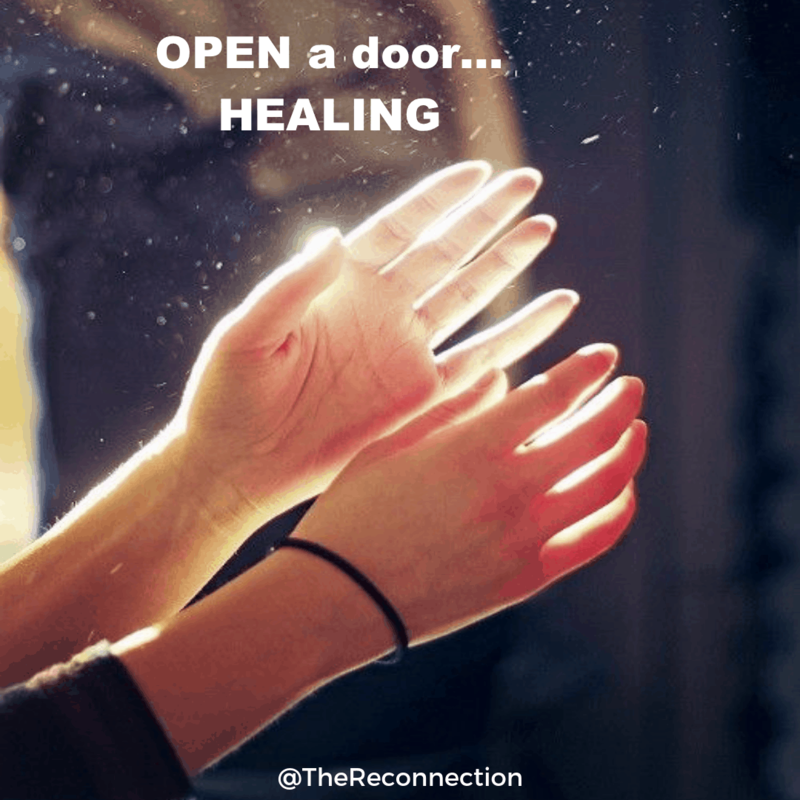 Healing is OPENING a Door… LIFE moves in! 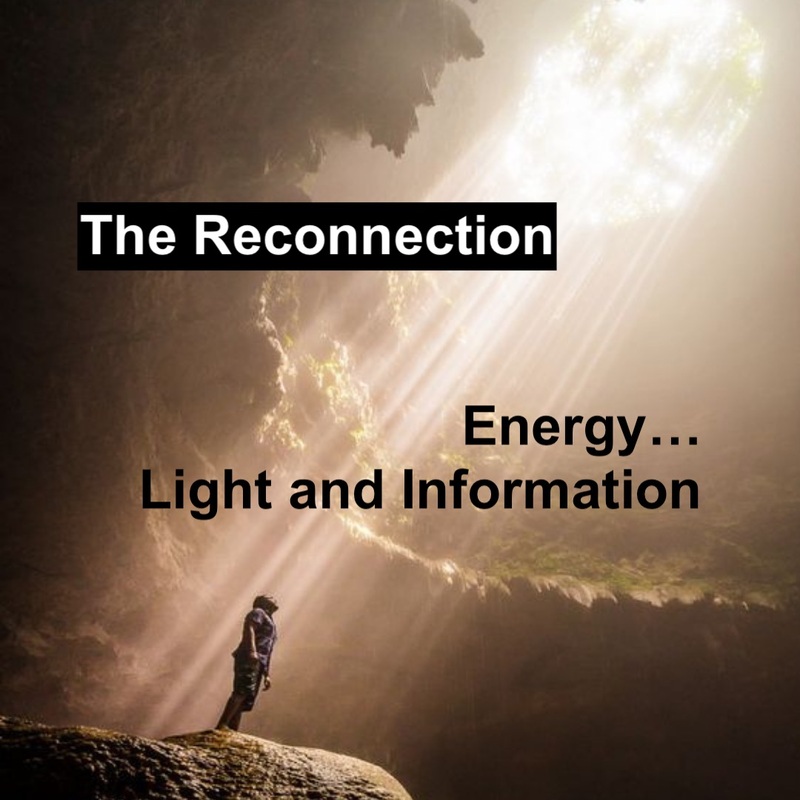 It’s time for me to share Reconnective Healing in a totally awesome way! I want to make sure that all of you understand that healing is not just about the physical symptoms our body is demonstrating that we desperately want to change. Our mind CAN change our thought patterns allowing us to feel alive and live the life of our dreams. BUT…this is very hard work at times. It is an awesome goal that each of us should dream and make happen every day! We can be in the state of peace, love and pure joy, but we might be doing it in a body that is anything but our idealistic DREAM. It is still our choice…I choose to love every flaw, strengthen weak areas through change in my habits, and heal when life gives me that opportunity. For me, it comes from within EVERY day in meditation. When I am stuck…I realize a healer can move into my life to help me out! 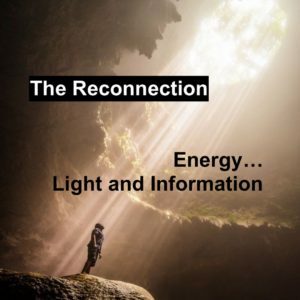 I have experienced some powerful healers through The Reconnection and I want to share it all with you! DREAM big…you CAN do it! OPEN the door to new thought and God comes through that door to help you! When it seems like the door is very hard to OPEN, let a Reconnective Healing Session open up the door for you. 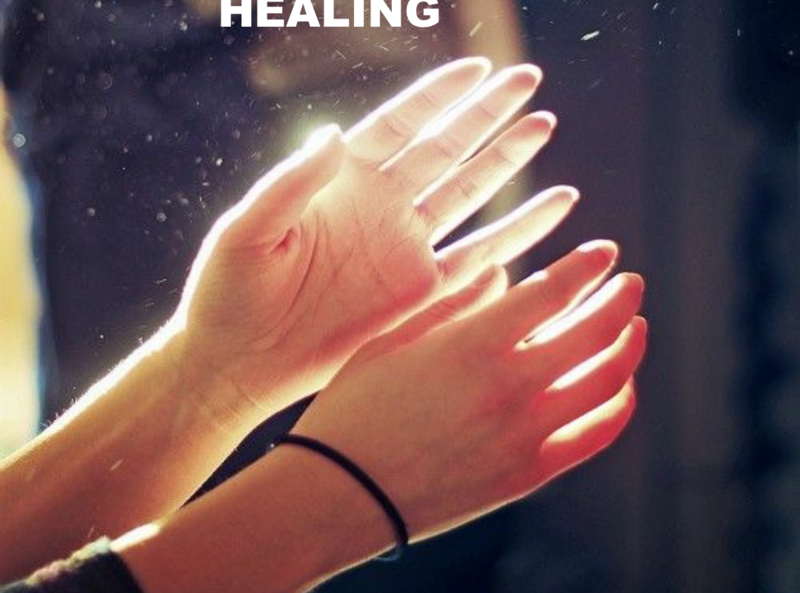 That is the gift of healing that is true. I am there if you need me to open that door…then it is YOU that allows the healing to move into your life. YOU have the same gift that every one of us has been given and I am just the catalyst to help make it happen for you. People always say that my NDE opened the door for me. That might be true, but ANY of you can open the doorway to health as well. I had to accept help from others too…I’m hoping you can let me help you if you are interested. I needed help and I have found it in an organization here in Holland, Michigan. It involves forward thinkers that started a wellness center years ago and I am thrilled to be connecting with them to share my Reconnective Healing training through offering Healing Sessions at Bodhi Yoga and Wellness Studio. Check out their website at www.mibodnitree.com . I am new to them, so I’m not sure you’ll find me on there yet. If you sign up for their newsletter, you will find the advertisement for it. I officially begin when I give a free workshop that will help explain all that I know about energy healing. 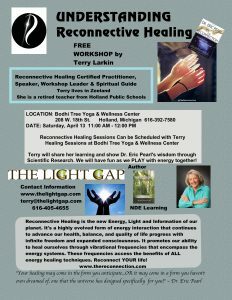 The workshop will help people understand this new form of healing that Reconnective Healing can offer YOU! If any of you are in this area, I am thrilled to be sharing my knowledge during this free workshop open to ALL! If you are NOT in this area, schedule a time for me and I’m happy to come share in your area. Here are the details! Today I am on my way home from Florida reflecting on beautiful times that have been both renewing for my soul as well as rejuvenating for my body! As I head north I realize that while temperature changes can drop, I have a choice. I can mumble and grumble about cold temperatures, clouds, wind or rain… or I can embrace every moment and LOVE my return to my home in Michigan! I choose a totally HAPPY return…and I have no idea if it will be sunny, cloudy, rainy, warm or cold. LIFE is about ALL of the extremes of our lives that bring the extremes of happiness and love through God’s Amazing Presence… the GAP. The GAP is always present in our lives if we let it in. Love and LIGHT in your life! If you are totally inspired to enjoy Dr. Eric Pearl’s training, you can join me soon in Palm Springs, CA! It would be a great getaway. I will be attending this event as a trained Reconnective Healing Practitioner and would LOVE to have you join me and experience any level of the training experience. If you log in on this connection you can enjoy a discount as well as help me out with expenses for further training. Just click on the words below!